Prof. Dr. Volker Markl and Prof. Dr. Ziawasch Abedjan during the exhibition session. 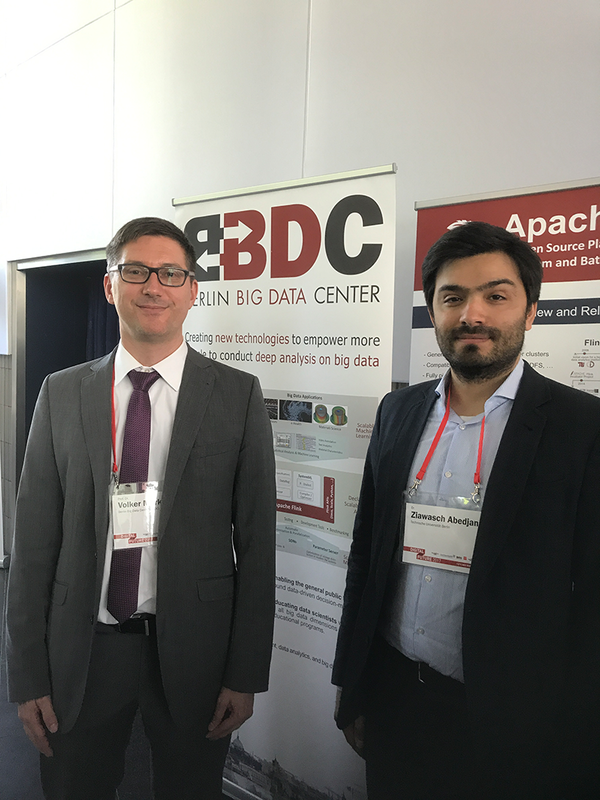 On May 12, the BBDC (Berlin Big Data Center) co-organized an event jointly with the Zuse Institut Berlin, the Einstein Center Digital Future, and Tagesspiegel, a German newspaper. 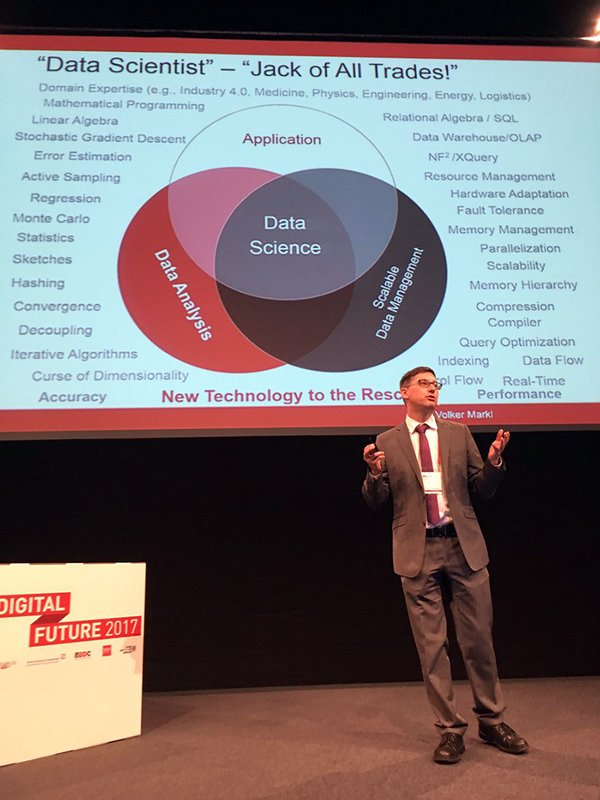 Several members of the Database Systems and Information Management (DIMA) Group and the Big Data Management (BIGDAMA) Group at the Technische Universität Berlin delivered presentations. At the Big Data and Artificial Intelligence session, Prof. Dr. Volker Markl introduced the Berlin Big Data Center (BBDC) and Prof. Dr. Ziawasch Abedjan gave a short plenary presentation on “Do Data Science, They Said. It Will Be Fun, They Said.” In addition, Dr. Chen Xu, a DIMA Postdoctoral Researcher and Sergey Dudoladov, a DIMA PhD Student presented posters covering BBDC and Apache Flink related projects during the exhibition session.